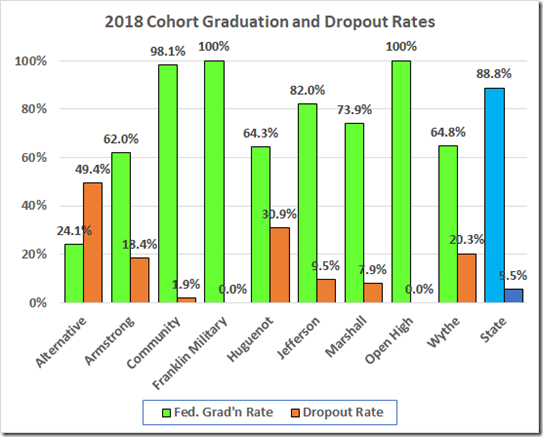 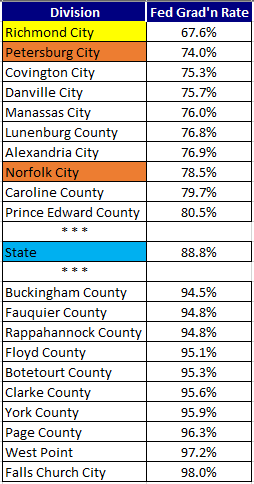 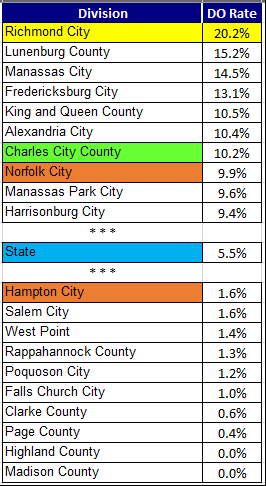 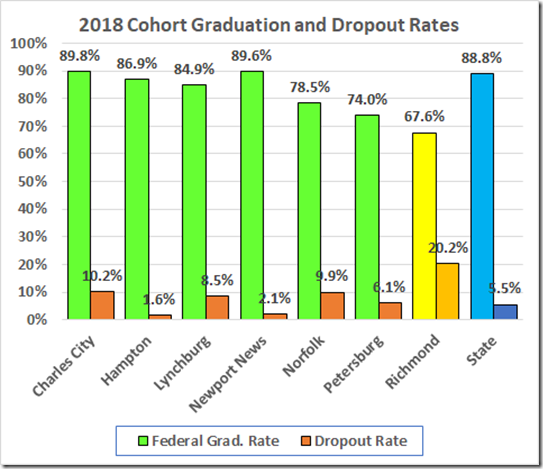 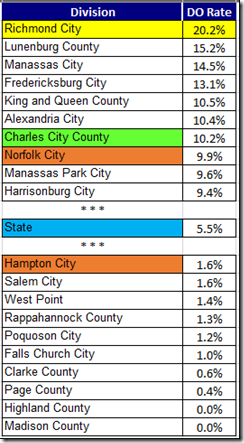 The 2018 four-year cohort graduation data are up on the VDOE Web site. 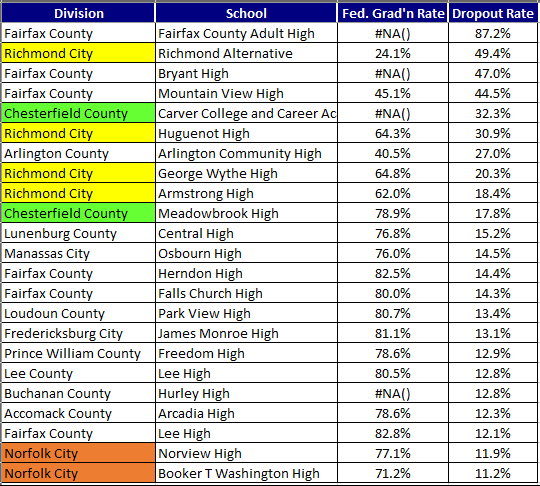 For a discussion of the ways VDOE manipulates the data, see this post. 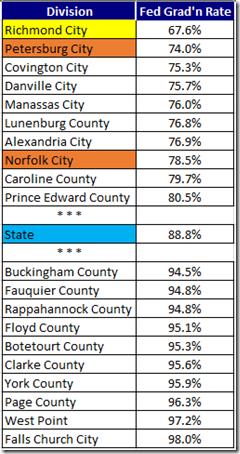 To the point here, the state’s “on-time” rate boosts the numbers, especially for those divisions willing to misclassify students as handicapped. 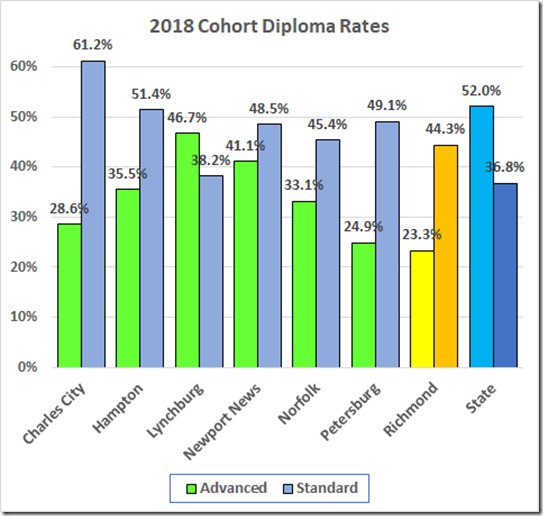 Now we have an additional boost: “Credit Accommodations” now allow students with disabilities who previously would have pursued a Modified Standard Diploma to earn a Standard Diploma. 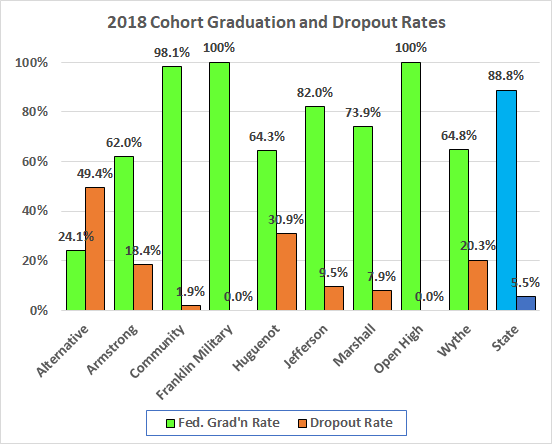 The cohort data also include dropout numbers. 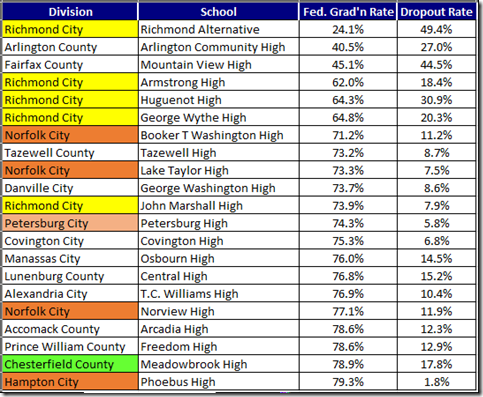 Let’s start with some division graduation and dropout rates. By nearly a 2:1 ratio, those Richmond diplomas are standard, not advanced studies. 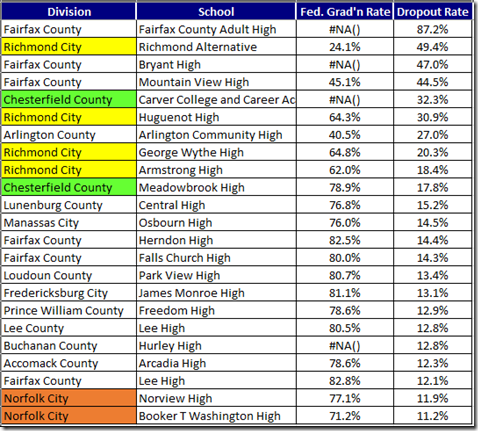 The Richmond numbers are driven by three of our general population high schools, with the other two tagging along. 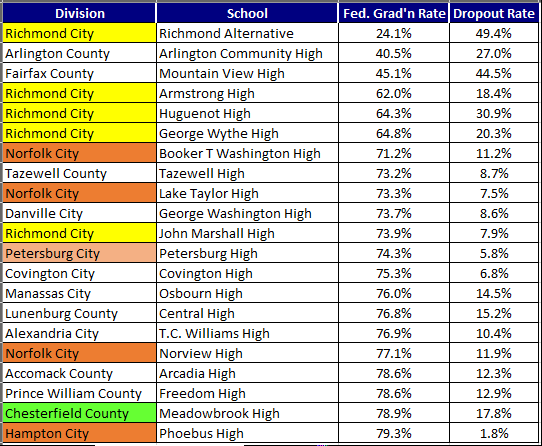 We have the worst graduation rate in the state. 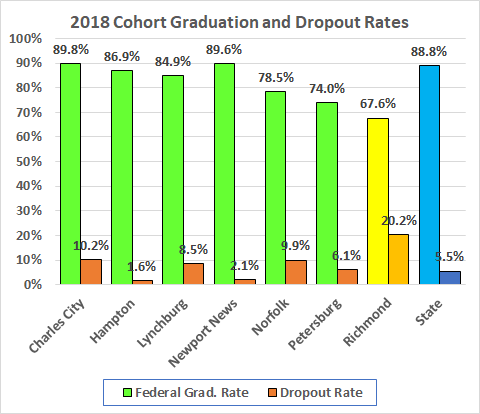 Also the worst dropout rate.